Well – don’t expect any posts from me for about a week. Tomorrow I will be packing and Wednesday morning we will be leaving for ARUBA!!!!! Kylie is staying here – courtesy of our friends and family – and we are SO EXCITED to have some time away. We are going with three other couples, so it should be tons of fun. 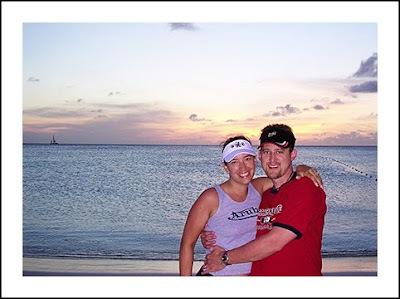 It will be nostalgic as well since we spent our honeymoon in Aruba just a few years ago. I thought it would be fun to include some photos of us on our honeymoon – don’t we look young? It wasn’t that long ago – but it seems like forever….. 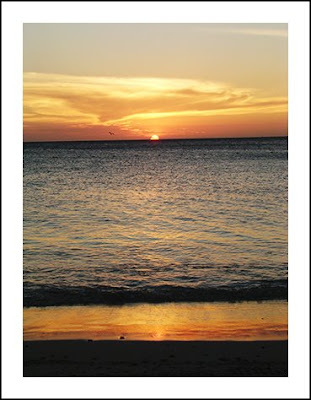 These were taken with my trusty point & shoot camera – long before I became a “professional” photographer. My husband should have known he was in trouble when he saw me setting up the camera on the tree-trunk / cocktail table on the beach. I made him pose for so many pictures – until I had one that I liked…… what a good sport he was! Hopefully we’ll see lots more of these while we are there….